In this post, we begin the count down of the top ten buzzwords for 2018, starting with buzzword number 10, Content Curation. Learners today are faced with such an unbelievable amount of information, that they may find it hard to find the information and courses they need, especially within the context of self directed eLearning. 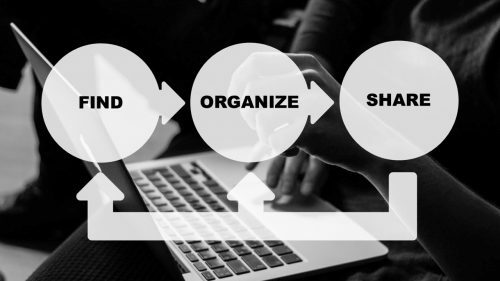 Content Curation is a process that helps relieve this “information overload” by finding, organizing and sharing information and courses. The key benefits are that learners are able to find the courses they need in less time, resulting in higher motivation. While Content Curation has been around a while, the recent buzz has surrounded refinements of the process. For example, eLearning professionals are discussing integrating curated content to courses and finding ways to incorporate end user feedback to better align curated content with instructional and business objectives. 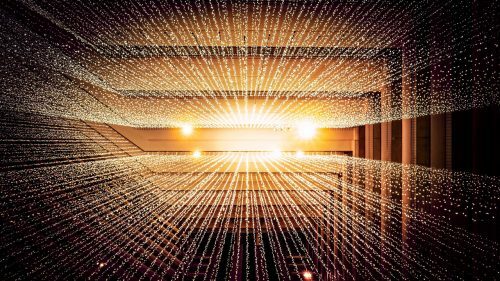 Analytics are tools used to rapidly model data for the purpose of gaining insight for decision making and corrective action. Typically, analytics generate reports in a dashboard format that provides a visual-comprehensive view of a stakeholder group, such as customers or students. In addition, analytics track key trends and provide alerts when issues are detected. Within the eLearning realm, analytics can provide a more comprehensive view of end users, such as how the training performance compares with on the job performance. In addition, larger data sets can help track learner preferences and “digital body language” that can be used to refine training programs, such as focusing on mobile design and limiting course length to the average time learners spend on a course. A couple of buzzwords popped up that centered on how distance learning technology can provide greater flexibility in the scheduling and location of learning. Asynchronous Learning meets this need by allowing learners to take courses at a time and place that is convenient for them. 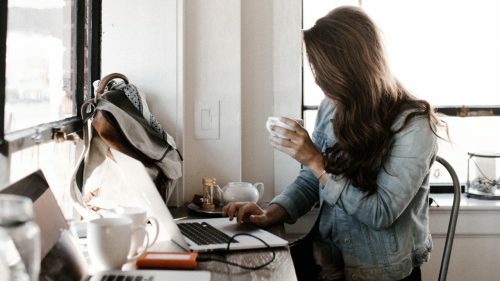 In addition to flexibility, the eLearning technologies used in Asynchronous Learning allow for automatic digital tracking of progress and communication. However, there are some potential disadvantages, such as increased development time of materials and difficulties some students have in remaining engaged in self directed learning environments. 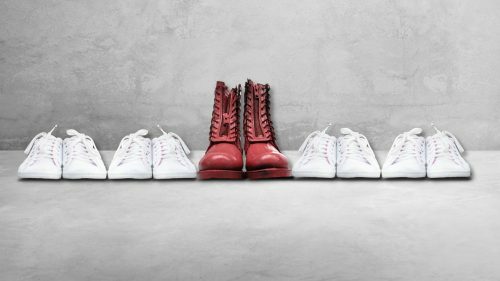 Personalization is not a new concept, its actually been used quite a bit in advertising. If you’ve ever noticed how some of the adds you’ve received online reflect your browsing history, you’ve experienced a form of personalization known as “behavioral advertising”. Much like behavioral advertising, Personalization in eLearning involves creating a more tailored learning experience by taking into account a learners unique needs, preferences, skill level and objectives. The benefits include increased learner engagement that lead to better instructional outcomes. The basic concept behind Social Learning, is that a considerable amount of learning occurs outside of formal courses through day-to-day social interaction. Social learning is not a new concept, having been applied in a number of areas ranging from behavioral modeling to learning organizations. 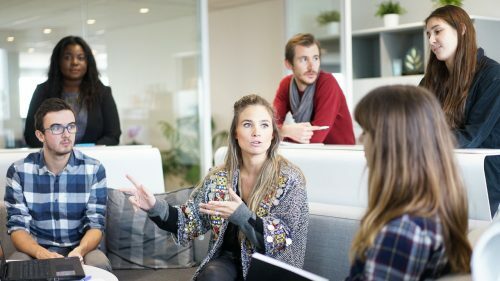 However, there a number of key drivers bringing Social Learning to the forefront, such as Millennial preferences for communicating through social media and innovations in eLearning technology that enable informal social learning. The eLearning professional now has a variety of technologies and tools to support Social Learning, such as discussion forums, live chats and collaborative software. In addition, technologies such as xAPI allow tracking of activities outside of the classroom. Taken together, these techniques and technologies hold promise for creating and supporting more engaging Social Learning experiences. That’s concludes ranking 10 through 6 in our eLearning buzzwords count down. 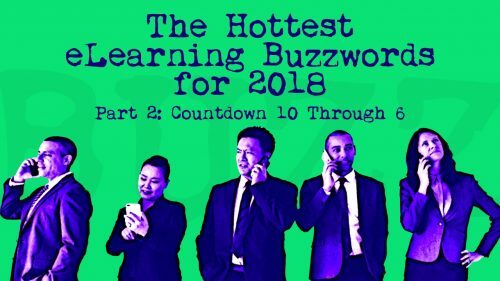 In the next blog post, we look at the top 5 eLearning buzzwords for 2018.